Odds are at least some of your friends don’t track their food and train consistently like you do. As a result, how they approach social events and time management likely differs from you as well, creating some subtle challenges in striking a balance between spending quality time with close friends, and still progressing in your physique and performance goals. Having learned the hard way through the early years of my own bodybuilding pursuits, and helping my clients navigate social situations and friend interactions as an online coach, I wanted to share some strategies I’ve learned that can help alleviate stress, allow for plenty quality time with the people you care about, and still allow you to make great progress in your fitness journey. As the title mentions, these strategies are all about balancing fitness & friends in as low key a way as possible. Right now, we’re all about keeping you on track without making a spectacle of your focus on proper training or nutrition. After all, fitness is supposed to improve your quality of life, not take away from it. If you currently have to be very precise with tracking your intake (i.e. contest prep, long-term diet etc. ), then going out to eat at restaurants every time you meet up with friends can create a bit of a mind game. Stress over the accuracy of nutrition facts, servings sizes etc. can really mess with a dieting athlete. Not to mention, meetups with friends enjoyed too often can certainly disrupt fat loss through inaccuracies and greater temptations to overindulge. Although times do call for being very precise with macro tracking, simply not spending time or going out with friends for months at a time just isn’t a realistic or fair solution. Instead, a very low key, simple solution is to offer to host at least some of your friend get-togethers. Since sitting at home and missing out on time with friends for the sake of shreds doesn’t really sound like a good time, an easy compromise can be to host dinners and get-togethers rather than always going out to connect. By hosting the events, it can be much easier to control what goes into the meals and selection of beverages, and subsequently much easier to track without it becoming a big deal. Especially with meals where each person can make his or her own plate, you’ve created a fun night where everyone can reconnect, enjoy time together, and you can easily track your food on the low. Dinners can be pretty easy to navigate. Choose restaurants that allow for customizable meals and/or where nutrition facts are listed, or host gatherings at your place- and you can pretty well navigate things without much trouble. Nights out on the town where alcohol is inevitably involved however, can be a bit more daunting to manage. When approaching alcohol as a physique athlete, there’s certainly a balance that can be struck between enjoying social time, and making smart decisions that will benefit your health and physique progress. Another article of mine, Athletes Guide to Alcohol, is a resource I would very much suggest checking out, along with reading the remainder of this article. Being conscious of calorie content in various drink types can help, but it’s also important to understand the metabolism of alcohol and its effects on the body in order to make the best decisions possible for your diet & recovery needs. That said, in general, if you are getting deeper into a growth season (let’s say 3+ months after an extended dieting phase/prep for the sake of generality), then you’re getting into a position where some variances in your intake won’t likely be much of an issue as long as you’re hitting macro goals the majority of the time. So, tracking normally and enjoying a few drinks here and there won’t likely be an issue. On the flip side, if you’re deep into an extended dieting phase like a contest prep, almost entirely avoiding alcohol is your best bet since, as metabolic adaptions occur and calorie intake reaches lower levels, even tracked alcoholic drinks can hinder fat loss. Now, if you’re somewhere in the middle and actively dieting in a more causal manner (i.e. losing just a few pounds, athlete in a mini cut, etc.) or coming out of an extended diet and in your reverse dieting phase, then it can be very prudent to track the calories you consume in your drinks. This way, you can accommodate with the equivalent amount of macros to keep overall energy balance in check and weight loss/reverse dieting in a good spot. So, especially for those in that “in between” stage, the below tips can really help when balancing nights out with maintaining a smooth transition into a more extended dieting phase or full-on growth season. As a continuation of #2, below are some helpful considerations for drinks that can come in handy when intake should be closely monitored, or you just want to enjoy some nights out while keeping things as tight as possible! This can seem obvious, but I often find a lot of people are surprised at how relatively “macro friendly” some light beer options can be when looking to mitigate the damage social outings can create. As an example, let’s take Miller Lite compared to Blue Moon beer. Both are brands owned by the parent company, MillerCoors, but offering a notably different nutrition profile  . A Blue Moon Belgian White contains 168 calories total, with 56 calories coming from carbohydrate (14g carbs) and the rest coming from the alcohol itself. In comparison, a Miller Lite contains 96 calories total, 12 calories coming from carbohydrate and the remainder from alcohol. Sure, saving 72 calories in a beer doesn’t sound like a huge deal, but when you need to accommodate for those calories in your current macro goals, saving yourself 18g carbs (72 calories) by merely choosing a light beer can go a long way in helping you have a good time without using all your day’s macros on beer. The main issue with beer is that it’s packing a sort of “double whammy” to your energy balance. Not only are you getting calories from alcohol, but also the added carbs required in creating beer. When macro times are hard, like in the early phases of a reverse diet, keeping those carbs down can be helpful. Sticking with straight liquor or using diet mixers can be an easy way to greatly minimize calories while still enjoying some drinks. The Athletes Guide to Alcohol article includes various examples and their accompanying calorie content to serve as great go-to drinks when going this route. Heck, even in the offseason when calories are plentiful, it isn’t a bad idea to stick with at least some light beer and low calorie mixers just to avoid unnecessary, empty calories. If you are really in a calorie pinch, like being in a contest prep or finishing an extended dieting period where variances in intake can create rather significant stalls in fat loss, consider just ordering a simple club or diet soda without alcohol. If you’re out and about and not in a position to, or just don’t feel like drinking, then rest assured, just ordering a diet soda or club soda to sip on while hanging with friends is far from uncommon for a bartender to hear as a request. Although funny to think about, for some reason it’s always weird being the only one in group not holding some sort of drink when out at the bar or club, so calorie-free/low calorie placeholders like these can give us something to do with our hands (lol). Although club soda is calorie free (just carbonated water) it does include some sodium and potassium. However, unless you’re in a peak week or very close to peak week, a variance in sodium/potassium intake of that small a magnitude isn’t going to matter. Now, if you’re really a team player, you can view your contest prep/extended diet as an opportunity to really come through for the crew. Some of my friends are serious competitors, but still enjoy finding ways to go out with friends even during prep. Instead of missing out for months, they embrace the DD role and help their friends out while still having a good time socializing with everyone (shout out to physique pro Sam Perkins if you’re reading this). If you’re social, it’s still easy to have a good time, plus never a bad idea to accumulate some extra karma points with the friends to cash in when you’re finished dieting! This is not about the ab selfie you’re scheduled for on Instagram, but an important gut check nonetheless. 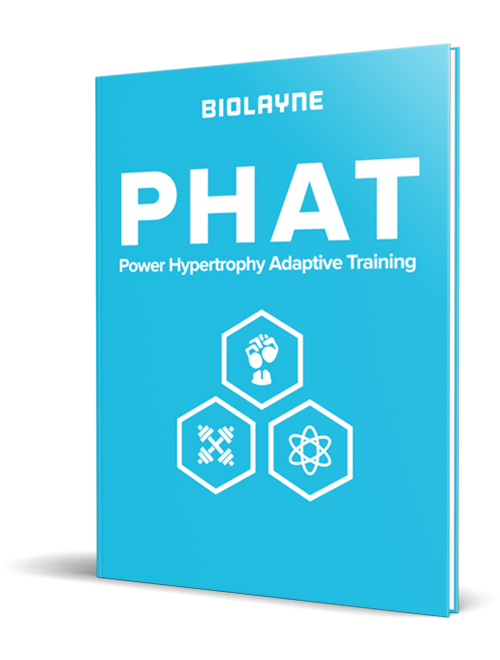 With all the research available to construct guidelines for the most effective performance and physique enhancement, along with the endless amount of less-than-credible information spouted by social media gurus, it can be easy to get bogged down in every detail as we attempt to look and feel our best through our fitness pursuits. In reality though, Meek Mill said it best… there’s level to this ish. If you’re a full time athlete, there are certainly near endless details in nutrition and training programming that can be explored to help gain an edge on the competition. For the rest of us with families, full-time jobs, a desire for social lives, taking care of and feeding pets, and all the other responsibilities that a normal life entails, there’s a necessary balancing act to be had. This is the balancing act of perfecting the “basics” and following details that give us the biggest bang for our buck, while not getting bogged down with details which, at best, give us only a marginally additional benefit. Through learning lessons on my own the hard way, and also through helping my online clients navigate a variety of situations themselves, I’ve become forever appreciative of how easy it can be to “miss the forest for the trees” and allow minor details to cloud the big picture and cause unnecessary strife. From here, certainly there are important factors that can make a significant difference in the long run. Protein quality and nutrient variety are two great examples. Specifics like this aren’t to be discounted as not beneficial, but it should be kept in mind that not hitting a specific meal timing, eating a food you aren’t normally eating (food allergies aside), or having to wait a while before your next dose of protein isn’t anything that will derail progress, and certainly shouldn’t be a cause for schedule issues or stress among friends. The point is, if we worry about every little detail that might have a benefit to our physique progress, we risk driving ourselves and those around us absolutely bonkers. Each person’s idea of what factors are absolutely, and not necessarily, important will differ based on budget, time and preferences for social time and non-fitness pursuits. Regardless, it’s important for each athlete to really think about (and use scientific literature to determine) what are the “big basics” that are necessary each week for progress, and which are tentative and can be adjusted as needed to better balance other things. Hitting your macros and getting in your workouts being non-negotiables is pretty reasonable, and weeks should be scheduled accordingly. However, canceling plans or refusing a restaurant when knee-deep in your offseason may require some re-thinking.